“On the first day of the week, very early in the morning, the women took the spices they had prepared and went to the tomb. They found the stone rolled away from the tomb, but when they entered, they did not find the body of the Lord Jesus. While they were wondering about this, suddenly two men in clothes that gleamed like lightning stood beside them. In their fright the women bowed down with their faces to the ground, but the men said to them, “Why do you look for the living among the dead? 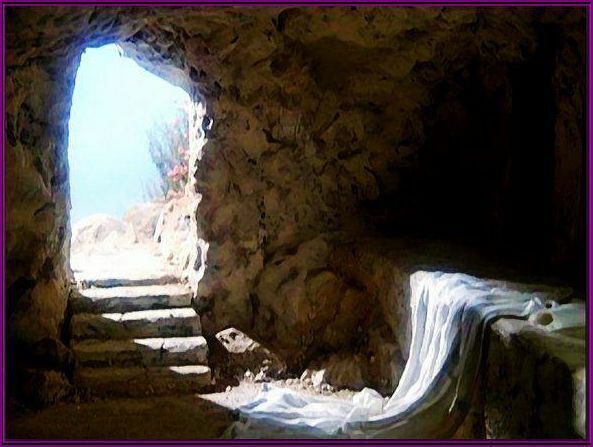 He is not here; He has risen! Remember how He told you, while He was still with you in Galilee: ‘The Son of Man must be delivered over to the hands of sinners, be crucified and on the third day be raised again.’ ” Then they remembered His words. When they came back from the tomb, they told all these things to the Eleven and to all the others. It was Mary Magdalene, Joanna, Mary the mother of James, and the others with them who told this to the apostles. But they did not believe the women, because their words seemed to them like nonsense. Peter, however, got up and ran to the tomb. Bending over, he saw the strips of linen lying by themselves, and he went away, wondering to himself what had happened. “Now that same day two of them were going to a village called Emmaus, about seven miles from Jerusalem. They were talking with each other about everything that had happened. As they talked and discussed these things with each other, Jesus himself came up and walked along with them; but they were kept from recognizing Him. He asked them, “What are you discussing together as you walk along?” They stood still, their faces downcast. One of them, named Cleopas, asked Him, “Are You the only one visiting Jerusalem who does not know the things that have happened there in these days?” “What things?” He asked. “About Jesus of Nazareth,” they replied. “He was a prophet, powerful in word and deed before God and all the people. The chief priests and our rulers handed Him over to be sentenced to death, and they crucified Him; but we had hoped that He was the one who was going to redeem Israel. And what is more, it is the third day since all this took place. In addition, some of our women amazed us. They went to the tomb early this morning but didn’t find His body. They came and told us that they had seen a vision of angels, who said He was alive. Then some of our companions went to the tomb and found it just as the women had said, but they did not see Jesus.” He said to them, “How foolish you are, and how slow to believe all that the prophets have spoken! Did not the Messiah have to suffer these things and then enter His glory?” And beginning with Moses and all the Prophets, He explained to them what was said in all the Scriptures concerning Himself. As they approached the village to which they were going, Jesus continued on as if he were going farther. 29 But they urged Him strongly, “Stay with us, for it is nearly evening; the day is almost over.” So He went in to stay with them. When He was at the table with them, He took bread, gave thanks, broke it and began to give it to them. Then their eyes were opened and they recognized Him, and He disappeared from their sight. They asked each other, “Were not our hearts burning within us while He talked with us on the road and opened the Scriptures to us?” They got up and returned at once to Jerusalem. There they found the Eleven and those with them, assembled together and saying, “It is true! The Lord has risen and has appeared to Simon.” Then the two told what had happened on the way, and how Jesus was recognized by them when He broke the bread. “Now, brothers, I want to remind you of the gospel I preached to you, which you received and on which you have taken your stand. By this gospel you are saved, if you hold firmly to the word I preached to you. Otherwise, you have believed in vain. For what I received I passed on to you as of first importance: that Christ died for our sins according to the Scriptures, that He was buried, that He was raised on the third day according to the Scriptures, and that He appeared to Cephas, and then to the Twelve. After that, He appeared to more than five hundred of the brothers and sisters at the same time, most of whom are still living, though some have fallen asleep. Then He appeared to James, then to all the apostles, and last of all He appeared to me also, as to one abnormally born. For I am the least of the apostles and do not even deserve to be called an apostle, because I persecuted the church of God. But by the grace of God I am what I am, and his grace to me was not without effect. No, I worked harder than all of them—yet not I, but the grace of God that was with me. Whether, then, it is I or they, this is what we preach, and this is what you believed. 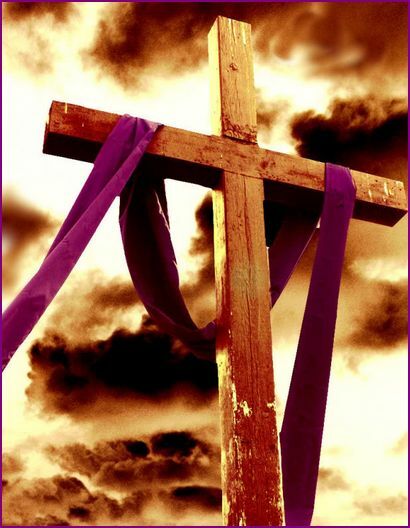 A Blessed Resurrection Sunday to each of you!